The RBNZ shifted its neutral stance on policy to dovish Wednesday, signalling the next move in cash rates would be down. Adrian Orr left rates unchanged at 1.75% as markets were widely expecting but hinted at softer domestic growth and global worries increasing potential for a rate cut towards the end of this year. ANZ are forecasting drops starting in August then November and again next February. At this stage this seems a fairly extreme view as we have been at a historical low since September 2016- the average cash rate over the past 34 years going back to 1985 is 7.36%. The New Zealand Dollar slipped a whole cent to 0.6805 against the greenback on the release and has remained under pressure across the board ever since. Part of the issue for Orr is the global central banks dovish stances were putting increased upside pressure on the New Zealand Dollar which he is trying to avoid for export reasons. One has to feel a little sorry for Theresa May, she has put in a monumental effort to try and achieve a Brexit deal result but ultimately failed as a direct result of having twice had her Brexit deals rejected. She has promised to resign if the MP’s back her deal. Yesterday several political heavyweights came out and said they would support May’s deal if she was to resign. In the reports which followed a large number of members are now ready to vote on the deal which could get he deal across the line with May announcing a leadership challenge after May 22. These comments by Johnson and others who will back the deal if May is out of the picture seem wildly unethical, wrong and deplorable. It shows the system is based on power and not a robust set of principles. These MP’s don’t care about the good of the UK folk, they are in it for themselves and reasons by a means of pushing their own agenda based on opportunity and convenience at the detriment of Brexit. Unbelievable- there should be a crime against this sort of behavior. It’s a disaster waiting to happen and we see no light at the end of the tunnel for any amicable and reasonable solution in sight. US and Chinese officials have made progress with ongoing trade talks but intellectual property remain a fly in the ointment. Talks will conclude over the next month or so with greater urgency now for the US to lock in a deal with the Chinese economy slowing. The Chinese economy grew at the slowest pace since 1990 with analysts expecting further pressures to eventuate. The meeting between President Trump and his Northern Korean counterpart at the end of March has been delayed. Australia’s central bank remain optimistic of future economic outlook with job numbers leading the way. Job vacancies for the 3 months to February continue to show solid demand and support the banks view that employment will continue to improve and provide a balance for weakening housing numbers. 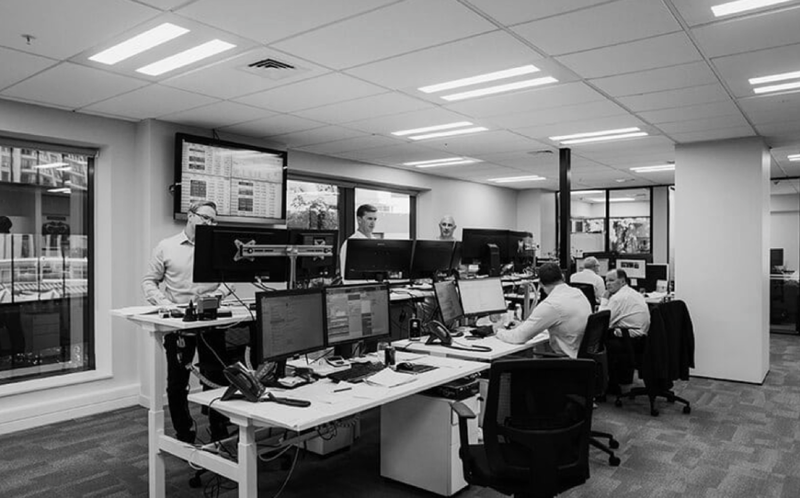 No data this week has printed out of Australia, the currency did follow the kiwi lower 30 points after the RBNZ announced its monetary statement. The Loonie (CAD) remains under pressure trading above 1.3400 versus the greenback as Crude prices retreated on news that US oil inventories were far higher than expected- price sits around the 59.00 area.